CMLL Guadalajara tecnico who debuted in the main arena in 2014. 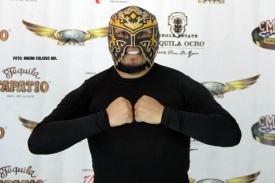 Had previously wrestled around the arena as Rey Dinámico; Reycko is a shorter take on the same name. This page was last edited on 23 March 2018, at 16:01.